Took me a couple tries to understand what to do. For a Jam game is not bad at all, but still needs a lot of polish to be fun to play. Get gold (score) and escape up the depth 1 stairs to score. I "beat" the game. Lower depths give more gold. 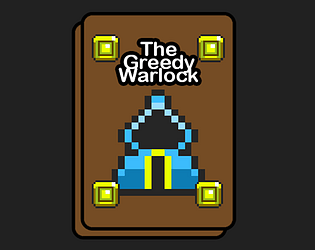 If you have less attack than an enemy then attacking it loses health, otherwise you gain the reward. 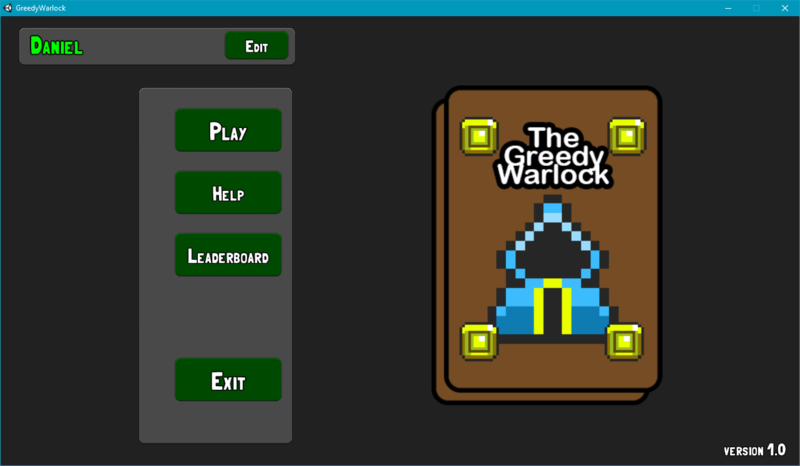 In the online version clicking on the leaderboard button loads the leaderboard page in the same tab which previously had the game open, forcing you to reload the game if you want to play again. The cramped maps lead to some interesting choices of which path to take. The leaderboard suggests score totals to aim for. 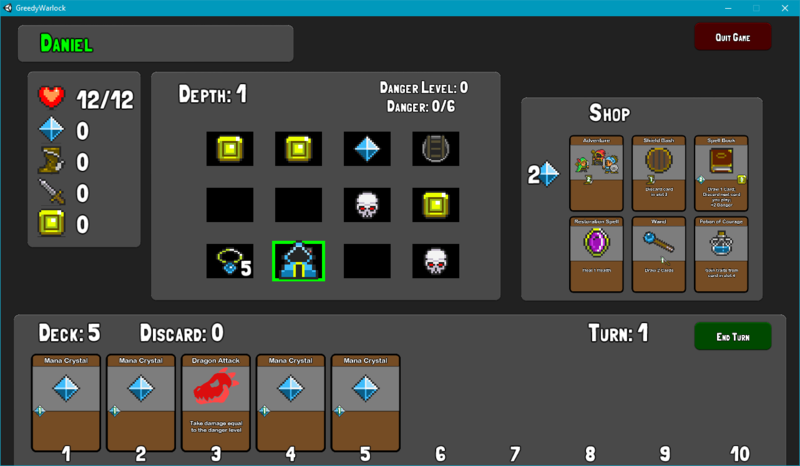 Deck building with roguelike style grid movement. 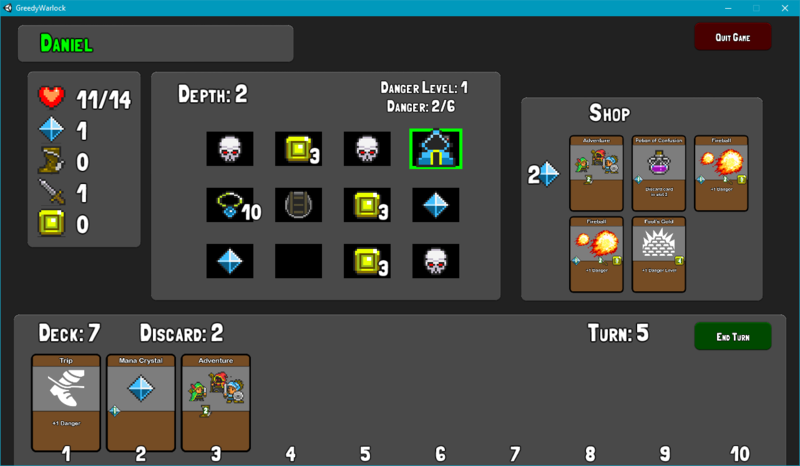 Decent number of cards and enemy types. I really enjoy this. It's the first roguelike deck-building game I've played that feels like tabletop deck building games, and it works really well. Also, mixing in push your luck 'genre' was a great idea. I'm not really sure how attack works, though. But that isn't gamebreaking. As I slowly play through this years 7DRL entries, this has become my favorite currently. I hope to see continued development, but also understand if that isn't the plan ^^.